The imperative behind this report is that the social and environmental challenges facing us can not be dealt with one organization or sector alone. The problems are so complex and interconnected, and the scale and speed of deliberate transformations called for, is such that systemic responses and collaboration is essential. Replacing competition with collaboration will not happen over night. It will require establishing trust and shared propose across diverse interests. 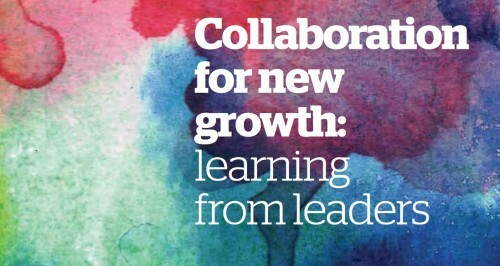 This report tap into ongoing collaborative projects to learn and build on these experiences. Collaborative leaders across many sectors, including government, business, academia and the military have been contributing with their insights in this report. The report has been prepared by Xyntéo and Royal Dutch Shell and it can be downloaded here.